Is there a new design trend on the horizon? Are we on the cusp of the next evolution in design styles? The discussions about the new iPhone 5S have been popping up more and more. From what I have been able to gather, it seems that Jony Ive and his team are making some changes that should prove interesting for graphic designers. Rene Ritchie said it nicely when he noted, “Ive’s work is apparently making many people really happy, but will also apparently make rich-texture-loving designers sad.” So, In order to accommodate for the filter, there is a simplification of the UI in the next iOS. It is not exactly clear what the future holds, but it does leave much to the imagination. What is your opinion? How do you believe this will impact the design community? Does this mean there will be a greater push toward minimalistic design? Since studies are showing a hugh shift toward mobile usage, will we see an equally large shift in design trends in order to accommodate? Or, is this all a waste of time? I’d not heard this about the change for privacy in future iPhone designs, so thanks for bringing it to my attention. In a shift from the norm (in my view) Microsoft is pushing this more than Apple with its more simple, flat coloured approach with its branding and Windows 8 etc. Whereas Apple were until recently going the other way (e.g. 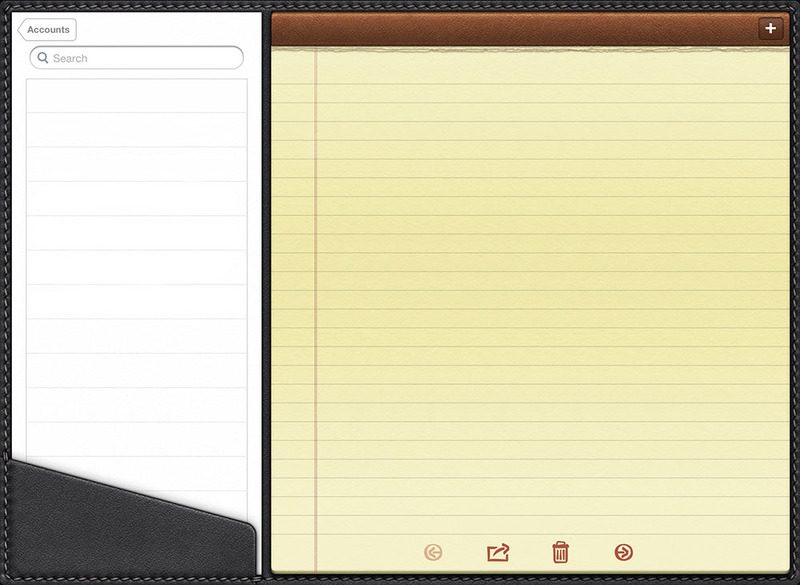 when iCal changed to the fake ripped deskpad style in the Mac OS update to Lion.) Will Apple be going more down the Windows 8 route with it’s OS/iOS in the future? The BBC have also been a prominent advocate of this simpler style, their UX is all about getting the huge volumes of content across in clear and organised way. Thank you for your comment. I too believe there are multiple factors that are pushing the clean design trend. If the filter is implemented then I am sure it will help push Apple’s design in that direction. I tend to think that everything is going to a more flat design aesthetic. What Rebecca is talking about is referred to as skueomorphism. There has been a strong backlash in the design community against Apple for a few years with all of their needless realistic flourishes ranging from reflections to mechanical associations (by mechanical I mean using a rolodex to represent contacts or an address book, physical analog items that help the user relate to what’s being conveyed). The trend these days is going strongly towards icons, flat, and digital representations. Mechanical representations were necessary 20 years ago when no one knew what a contact list was. But users today (think young) have NO idea what a rolodex even is so the concept breaks down. Many users are acclimated to many patterns and paradigms that exist so this has become less necessary. Having an icon that conveys a mechanical or analog connection isn’t necessary a bad idea but making someone’s contact book look like a leather bound address book is unnecessary and inefficient. Anyways I bring those points out to just strengthen the point that I think things are definitely moving towards flat and clean design aesthetics. I’m an UX/UI/Interaction designer and I think UX and UI considerations are part of the reason you’re seeing the flat aesthetic getting more prominence because from a UX standpoint you want things to be easy to navigate and usable not complicated due to the stupid flourishes you think make the program look more fun or “real”. I also things are trending towards flat because of two other design trends. Web design is becoming more vector/scaling based on graphics and colors. Obviously not everything is vector or scale based but it’s starting to become heavily used in relation to colors, icons, and fonts, rounding of corners, etc. While these controls have been around awhile CSS3 is pushing the envelope of making even more things scalable. 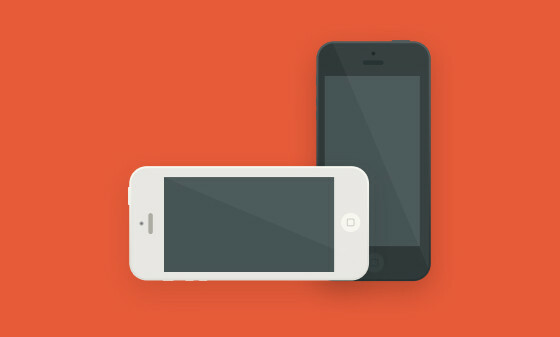 And this leads into another trend with everything pushing towards responsive design. This is designing once then designing in breaks and scaling elements to make your page usable on any size of device. I think these two things will also contribute to a more moderna and clean internet over the next years. Those who are out in front like Microsoft, BBC, and a range of other simplisticly designed sites are bearing this out. Skeuomorphism is the right term. An example can be found here. Notice the stitching, leather, and ripped paper. I like your point about the rolodex. Those practices may not be received well with a younger audience. In addition, I also believe that design trends are moving in this direction because of interactive design for web. For example, my site will adjust to various screen sizes. When adapting to a cell phone it will adjust to a single column to help with accessibility. Great comment and thanks for posting it.